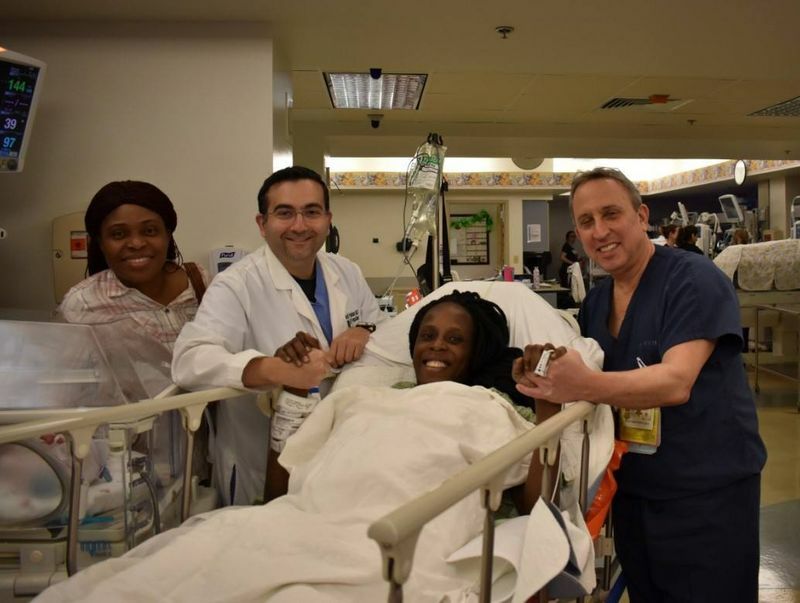 A NIGERIAN born Naturalized American, THELMA CHIAKA made history in Houston Texas some 48 hours ago when she noticed her delivery period was due and visited The Woman’s Hospital, one of the most famous medical centers in United States that has served the women of Texas for a period of 40years. During this visitation, the team of experienced medical doctors placed her on bed rest having noticed that the awaited time has come for her safe delivery. Chiaka gave birth to six children on Friday, according to the The Woman’s Hospital of Texas. The new mother is doing well, the hospital said, after giving birth to two sets of twin boys and one set of twin girls, Zina and Zuriel, between 4:50 and 4:59 Friday morning. Chiaka said she was still coming up with names for the four boys. Naija Standard INVESTIGATION showed that there are odds of having 6 children at-a-time which is estimated at 1 in 4.7billion. This was confirmed by the hospital when in their statement said the odds of having sextuplets are estimated at 1 in 4.7 billion. The babies are in stable condition in the hospital’s advanced neonatal intensive care unit. The Woman’s Hospital of Texas claims to deliver the most babies in the state, over 10,000 a year. The hospital has served the women of Texas for over 40 years.